TomatoSALE brings to you the best sales happening in Dubai with exciting offers and discounts to choose from. Be it any mall, store or shopping centre in Dubai, Abu Dhabi or Sharjah, TomatoSALE will give you an exhaustive list of sales happening across UAE. Browse through various categories to get exactly what you need. Be spoiled with the umpteen options you get for shopping. 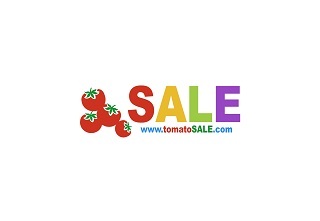 TomatoSALE is an answer to your all queries on discounted shopping or any brands. Know about all the sales, offers, discounts available with various stores or brands. Be it groceries, electronics, health care, beauty, apparels, furniture, stationery, online stores, watches, jewelry, footwear, fragrances, entertainment, holiday packages, fun activities, gardening, bank, insurance, automobiles, currency, telecom, departmental store, supermarket, hypermarket and so many more. Search for any brands, stores, items or even malls. Be right there using location maps. 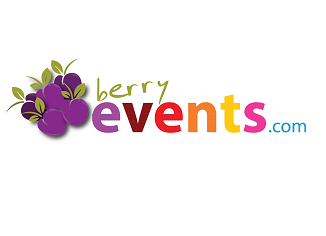 BerryEvents.com was launched in UAE to provide a common platform for events community. It brings together all within a single framework benefitting both organizers and delegates. BerryEvents brings to organizers and delegates information about trade fairs, seminars, conferences, trainings and workshops. It connects organizers, delegates and service providers seamlessly. With BerryEvents all events accross cities in UAE can be accessed in one click. Event search has simplified with search categories like Art & Culture, Business, Clubs, Education, Family, Lifestyle, Medical, Theatre, Music and Sports events. TomatoMAID is the websites which list services/offers of different cleaning companies and house maid services in UAE. The house maid services listed on our website include services like house maid, nanny, baby sitting, laundry/ironing, cleaning service, party maid, pet care, senior care, etc. So, if you are looking for a maid to baby sit over your child for an evening out or if you are looking for a full-time nanny or house cleaner for your home, we have them all covered. All the leading cleaning service and house maid service providers in UAE are listed on our website, which provide you with a platform to compare the services and the rates offered by them to select the one that suits you the most.